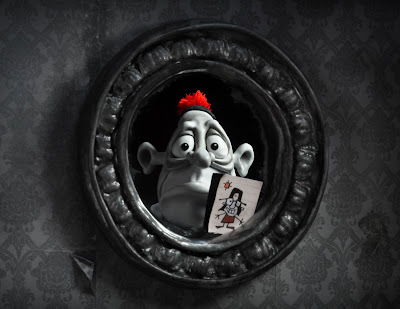 Based on a true story, Mary and Max is a stopmotion claymation feature film about a little girl who begins a pen-pal friendship with a 44-year-old, severely obese, atheistic Jewish man with Asperger syndrome. It looks awesome! Darling, just stopped by to see how you are doing. Longtime no visit!!! so I missed you. I hope life is treating you marvelously. Wow, that's quite the premise! Oh wow - that does look interesting. I hadn't heard of it before now. Oh! And it has won all sorts of awards too! I must catch up on my film watching! I have taken so long to get with you on the photo you picked out that I'm not sure if I requested your mailing address. I have it ready to send if you can email me your address. Send it to cooper585@earthlink.net. Thanks for stopping by my blog! It's not a description that would sell many tickets, but I suspect that makes it all the better. Must look out for it. Okay, I have never heard of this! I'm definitely going to keep my sights out for this one! Thanks for the head's up! I've seen this movie and quite enjoyed it. I would say it's not really a kids' movie. It is a little depressing but showed the reality of living with Asperger's Syndrome.